This can be felt in the cheeks (masseter muscles) and temples (temporalis muscles), where the two big pairs of jaw-closing muscles are located. If you feel soreness and stiffness upon waking up in the morning, it's often related to habits such as clenching and/or grinding the teeth at night. If you have this type of nocturnal habit, a custom-made nightguard should be very helpful in decreasing the force applied to your teeth, which will in turn allow your muscles to relax and relieve pressure on your jaw joints. Other self-care remedies are discussed below (please see Relieving the Pain). 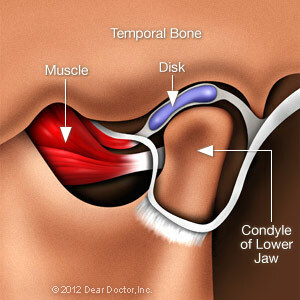 Pain that's actually coming from one or both jaw joints technically would be described as arthritis (“arth” – joint; “itis” – inflammation) of the TMJ. 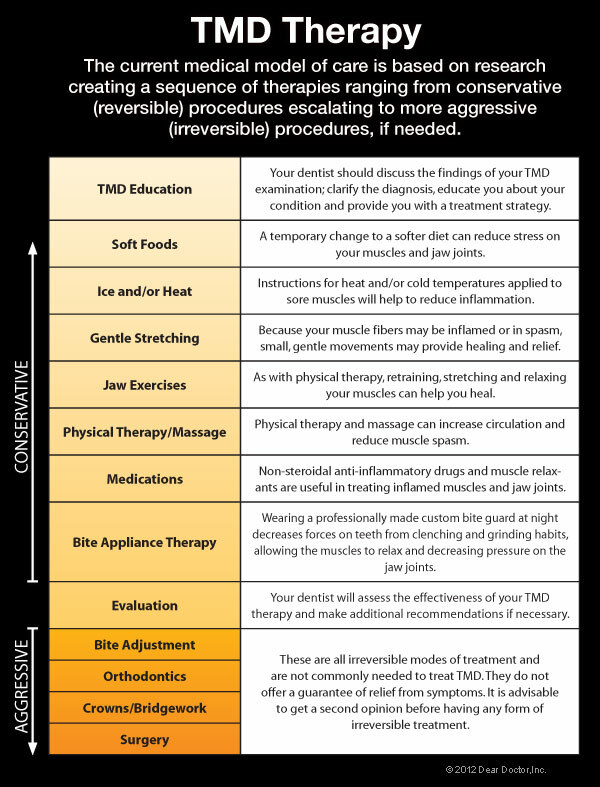 Radiographs (x-ray pictures) show that some people have arthritic-looking TMJs but no symptoms of pain or dysfunction; others have significant symptoms of pain and dysfunction but their joints look normal on radiographs. There is no cure for arthritis anywhere in the body, but medication can sometimes help relieve arthritic symptoms. 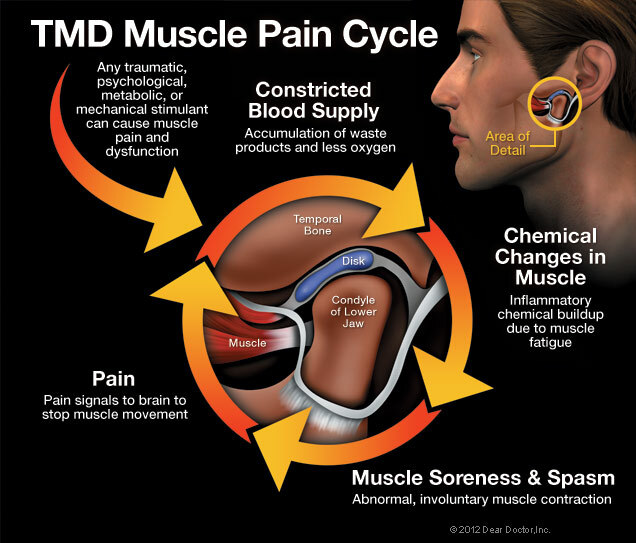 For more information on the treatment of TMJ pain, call our Burlington, MA office at (781) 273-1152 to schedule a consultation.